Rent The Mondrian South Beach | Corporate Events | Wedding Locations, Event Spaces and Party Venues. 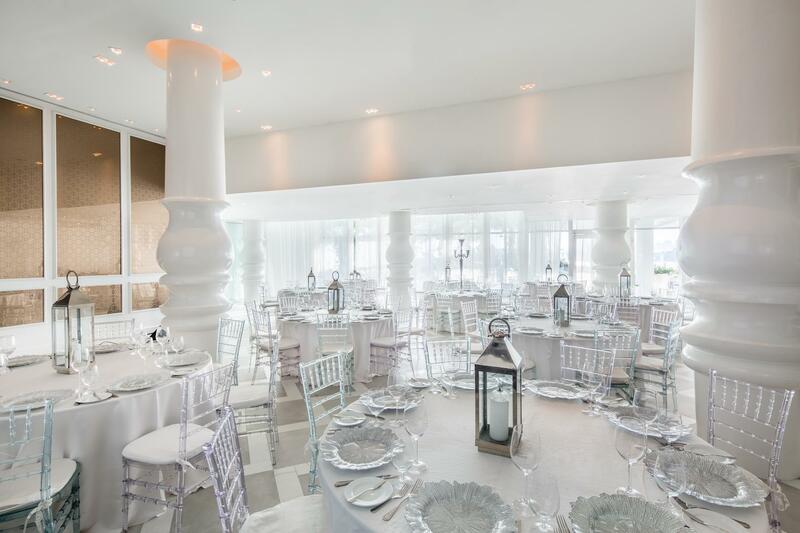 Ideal for an unforgettable function, Mondrian South Beach hosts 10,000 sq. ft. of event space including our North and South Studios with lounge terraces, brand new Sunset Ballroom and Terrace, Kissing Gardens, Penthouse Lounge with beautiful city and bay views and Mondrian Caffè. Host your next cocktail reception on the rooftop of the Mondrian South Beach with breathtaking view of the Atlantic Ocean and Miami Beach. Preview and book our Penthouse Lounge event space today. Whether you are planning your big day or a flawless corporate event, the brand new, 2,600 sq. ft. glass-enclosed, Sunset Ballroom and Terrace is ideal for an unforgettable function. Available for bookings starting Fall 2016. To the right and left of the property are lushly landscaped mazes & "Kissing Gardens" that invite you to enter, explore and loose yourself. Within the living maze you will find a banquet table reminiscent of that in a medieval castle, love swings to lighten your mood and bring out your Inner child and a knight of the round table style sharing table. This magical area is perfect for a small private dinner or a cocktail reception.